Salad is an healthy appetizer,eating salad a day is a simple way to live a healthier lifestyle. 1 cup of sprouted moong dal. 1/2 cup of roasted peanuts. Cook the sprouted moong dal. (Don't overcook them to get smashed). Chop the onion, tomato and cucumber. Now take a wide vessel, add all the ingredients and mix them well. 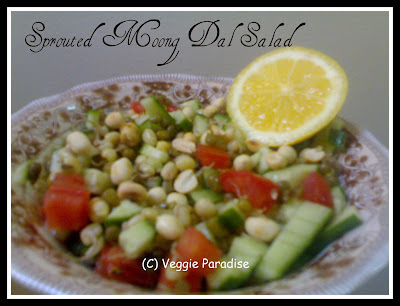 Sprouted moong dal salad is ready to serve. Lovely Salad.. looks tasty and tempting.. healthy too.. nice snaps!! I like the idea of adding Peanuts to the salad . I have never tried this.but am sure this adds extra crunchiness to the salad. Thanks for sharing it da..
Nice dose of Nutritions. Awesome! healthy choice of grains n very colourful. Woooow protein rich salad,,its good for the health.It's been long time i had healthy salads n diet foods,,,thanks for sharing the good nutritional fact rich salad dear,,,take care n keep smiling. wow, such a a healthy salad..hey loved the kurma and apple carrot soup too. 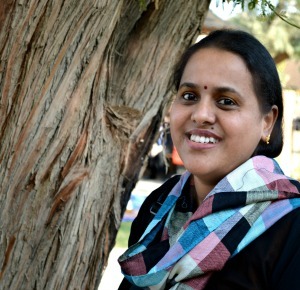 I do have a moongdal salad recipe Aruna. I add carrots in them for a crunchier taste. Definitely a lovely salad. Lovely salad with full of protein!!! 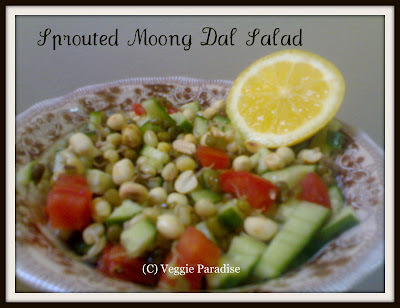 I have long time wish to try moong sprouts salad,sounds too gud! 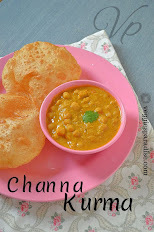 I make this quite often but liked the idea of adding peanuts. click looks tempting. Love this salad, looks yummy.